If you have a growing business, you may find yourself having to make decisions you didn’t foresee, like altering the job site to optimize the inflow and outflow of products and services. Not addressing the growth of your business can hinder it. Don’t get caught losing time and money when industrial garage door installation is the clear solution. Efficient ingress and egress are crucial to getting vehicles loaded or unloaded. The faster your goods or services can be delivered, the more you save. 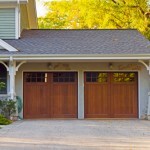 With industrial garage door installation, you improve the travel conditions to and from your place of business. Your drivers simply drive in and drive out! Industrial garage door installation allows your drivers more comfort, not having to park on the street. It’s the sign of an efficient, prospering company. These kinds of improvements command respect and loyalty. Drivers who feel appreciated are more likely to stick around. Industrial garage door installation can also mean your fleet now parks indoors, saving trucks from the damaging effects of rain and snow. This in turn means you can consolidate your security, no longer requiring cameras trained on trucks outside as they’re being rained on or being broken into. 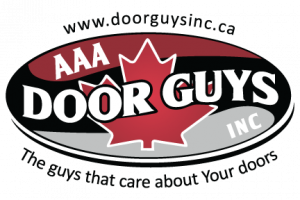 If your business is grappling with success and you are located in Muskoka, Barrie, Innisfil or Newmarket, we at AAA Door Guys Inc. are ready to help you grow. We sell name-brand doors and parts, as well as offer 24-hour service. Our work is guaranteed. Call us and we’ll send an expert to your site for a quote.